This meal is perfect in the cooler months. I made this particular one on holidays in London on a rainy weekend morning. 2. Slice the tomatoes in half, slice the peppers lengthwise. 3. Pull the baking dish out, line w baking paper, throw in tomatoes & peppers; drizzle 1-2 teaspoons of olive oil, then put in oven. 6. Flash fry mushrooms in 1-2 teaspoons of olive oil, then throw in rocket at last second so it just slightly wilts. 2. 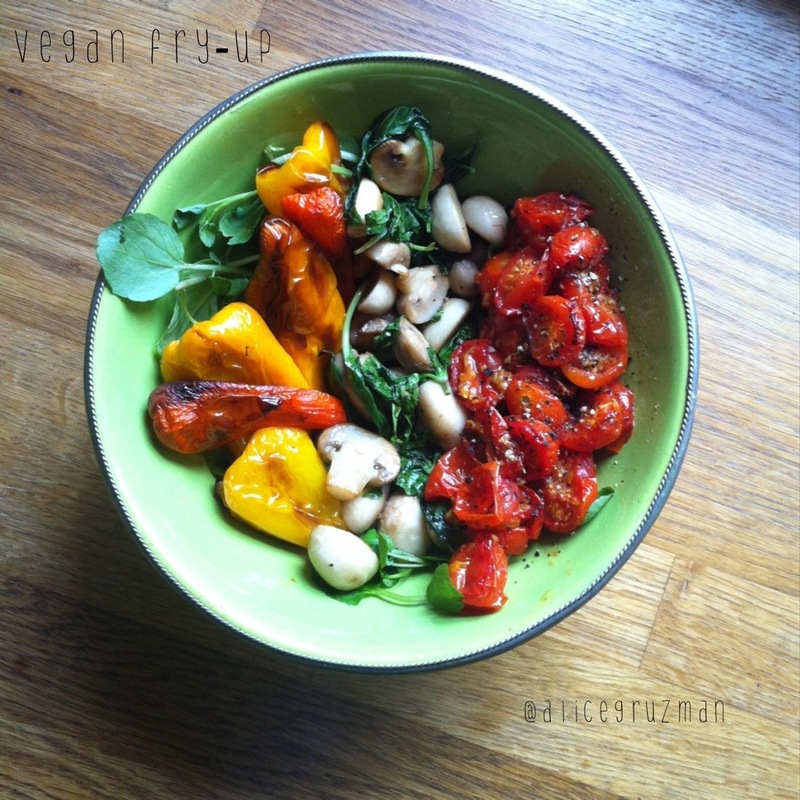 Arrange mushrooms, tomatoes & peppers as you like! This entry was posted in Nutrition, Recipe and tagged capsicum, iqs, mushroom, peppers, rocket, tomato, vegan by 6 Clean Ingredients. Bookmark the permalink.